People who have had first aid training seldom utilize the skills they developed in severe medical scenarios. Typically they find their training put to use to treat minor injuries. The abilities gained in training are potentially very valuable. 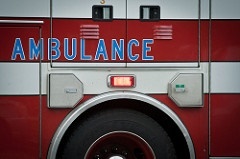 First aid is best defined as the quick application of emergency medical support to individuals who are ill or injured. When successfully applied to people with minor injuries or illnesses, the patient should not require further medical treatment. In severe medical emergencies, the application of proper first aid care can make the difference between life and death, or in the individual in need experiencing additional injury. The first aid assistance can be provided while waiting for appropriate medical assistance. There are numerous applications for first aid, and these include preventing more harm or injury, offering pain, to save lives, and to provide comfort to the sick or injured individual. ABC’s of first aid training, comprised generally of ‘airway, breathing and circulation.’ These are primarily the three crucial aspects to be taken into account throughout an emergency situation. The first action is make certain that the air passage is not obstructed by anything like the tongue or food. The next is to make sure that the person is breathing effectively. In circumstances where the heart has stopped beating, artificial circulation to the body must be rendered . In supplement, another helpful action learned is what to do to remove airway blockages. It is a very smart choice for those in the childcare field to receive first aid training. It is extremely valuable in whatever field you choose, but particularly when caring for children. You never know when the skills learned might save a life, but certainly there is value in having the ability to do so if required. It is necessary to receive first aid instruction from a licensed instructor. Once training is finished, the student will receive a certification. 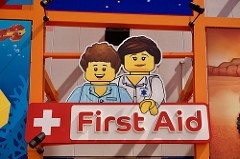 There are many first aid courses available, with varieties based on your preferences and interests. All the first aid courses will teach the basics and are usually separated based on the difficulty level. During the training, the theoretical elements are covered and practical applications are taught. One will additionally learn how to utilize various tools used in the application of first aid to a sick or hurt person. 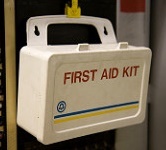 Basic first aid training is typically included in a First Level course. Many first aid training providers will conduct courses that consist of a variety of instruction from different levels of training. Instruction may include simulated situations, where specific expertise is required, instruction manuals, audio / visual material and practical applications. There are some occupations where one is required to have first aid training, like teachers, police officers, and ambulance personnel. Nannies and babysitters find first aid training is an extremely valuable skill to list on their resume and can enhance their earning capacity. No matter the situation, having the appropriate training to assist in emergencies is a valuable skill for anyone to maintain. Infants carry their own specific challenges in this area. Additional training in a number of aspects should be taken into account. A lot of states have a licensing process for in-home caretakers; a daycare center definitely must be certified to run their company. Specific state sites are readily available that will describe the requirements for licensing; some even use referrals to quality care. No matter which kind of care you pick – ensure that your service provider has some early-childhood education as well as some accreditations. Everyone who takes care of your baby ought to have basic first aid and CPR certification. An infant needs and is worthy of lots of love and attention throughout the day. 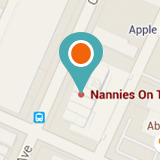 The ratio of service providers to babies should never ever be greater than 1:4. If you have the ability to pay for one-on-one care for your baby, she will no doubt benefit in lots of ways, however even if your childcare center has a higher ratio, a correctly trained, caring caregiver can still provide awesome care to your baby. There can just not be enough said about the effects of television on infants and young children. Studies show it inappropriate for this age group. Infants should be exploring their world, and connecting with caregivers. Request that the television be left off the majority of the day if possible. There will be plenty of time for even educational TV later! Childcare centers, and in-home daycare centers, ought to all be completely baby-proofed. Alertness to security can be the difference between life and death (or at least serious injury) to your child. Do not hesitate to ask questions, and check yourself that outlets have been covered, cables are tucked away, and there are no unexpected hazards waiting for your child to discover. Have a look at the children’s safety network for more info on baby-proofing and accident avoidance. Childcare providers should likewise have smoke alarms installed, and have a working fire extinguisher ready, in addition to having fundamental first-aid and CPR training. You want your baby to be as healthy as possible, and tidiness is among the best methods to ensure cleanliness and a happy demeanor. Make certain that caregivers are frequently washing their hands and maintaining a clean play area. If your child is cared for at home, make certain that any animals in the house have been vaccinated and are only around children when accompanied by an adult. Your infant requires consistent love and affection, the most important thing to remember when selecting a caregiver. Locate a one that is dedicated to spending quality time with your infant, and wants to enhance her development every day. There should be a bond developed with the caregiver, similar to a parental bond, where the child is comfortable and feeling lucky that there is another adult that loves them!